Graham Saunders © Marine Scotland. All rights reserved. SNH Flickr. 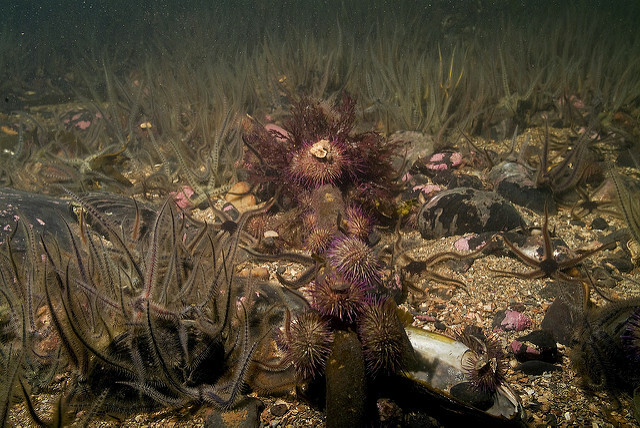 Yesterday we continued a serial feature from Open Seas which showcases a few of Scotland’s crucially important seafloor species, their history in Scotland’s seas, and what the future may hold. Native oysters, horse, fan and blue mussels, serpulid reefs, flame shells, seagrass, maerl, gravels with burrowing sea cucumbers, cold water corals and Scotland’s seafan and sponge communities each play a key role in our seas. Telling their story gives an insight into the history of our seas more generally – and hopefully inspires us to think about where we can go in the future. Welcome to Part 3: Horse Mussel Beds. Where they cluster in a dense and big enough group, the complex matt of live and dead horse mussel shells starts to form a reef amongst which other small marine life takes hold and takes advantage of this horse mussel-created-habitat. Well established reefs provide grounds for a range of species, including cod and haddock, spider crabs, whelk and scallop spats. These species spawn and feed and spend their juvenile (and highly vulnerable) years in this habitat. They once lived on similar grounds to oysters, found alongside oyster reefs in places like the Forth. Unfortunately, because they are fragile and highly vulnerable to being pulled out of the seabed by bottom-towed fishing gear, the expansion of the oyster dredge fisheries, and subsequent expansion of scallop dredge fisheries on their other grounds, removed large beds and has caused a significant decline throughout recent decades. The world’s largest bed was previously found Stangford Lough in Ireland, but patchy records show their distribution extended throughout the Scottish coastline, east and west, and stretched all the way north into Shetland. 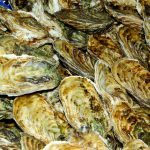 Because they were not regularly harvested for food, we have fewer historical records than for oysters and know only a little about their historic distribution. However, where records do exist, such as in Ireland, the mismanagement of other fisheries (in the Irish case, their queen scallop one) has resulted in long term, significant declines to the horse mussels species and habitat. Unfortunately, stories similar to that in Strangford Loch played out around Scotland, significant hotspots now remain in only a few areas, including a small reef in Loch Creran, Loch Alsh, a very large reef off Wick in the North East of Scotland, one in the waters between Rum and Canna and several in the waters around Shetland. Several of these areas are now within the network of Scotland’s marine protected areas and protected from potential damage from scallop dredging or other activities (salmon farming may also have an impact). 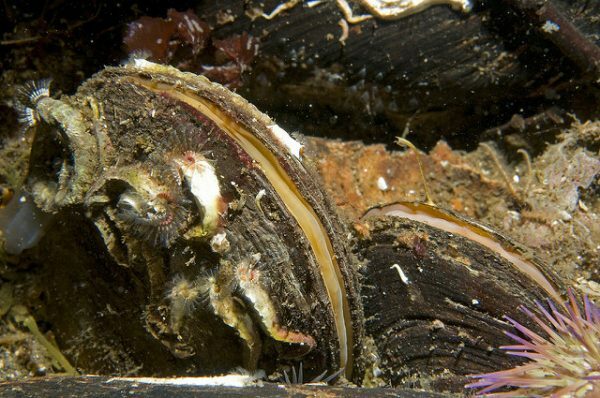 In Shetland, where the horse mussels are found in clusters considered dense enough, they are protected from Shetland’s scallop dredge fishery. Unfortunately, however, at the time of writing, the site which covers the waters between Rum and Canna remains entirely without protection and remains at risk to more damage. The smaller, isolated horse mussels found in the upper reaches of Loch Linnhe, toward Fort William, in the upper Clyde and in the waters around Skye, also remain without any protection leaving them potentially exposed to a range of threats, and the local future of the species therefore at potential risk. This brings us to the end of our serial feature from Open Seas – if you missed Part 1 – see here and Part 2 – see here! This blog post was originally published as Stories from Scotland’s Seabed by Open Seas on 08/06/18.